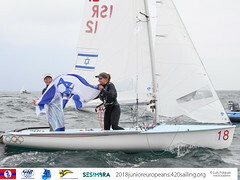 Ten year veterans of the 470 class Dahlberg and Bergstrom, current European champions, go into the ten boat medal race with a cushion of 25 points. The Swedish duo, who was runner up at January’s Miami World Cup event, represent a strong statement to their national selectors with regard to the key Olympic test regatta later in the summer. 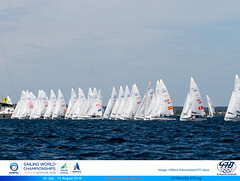 Relief was the most evident emotion for the Swedish 470 pair as they came ashore. 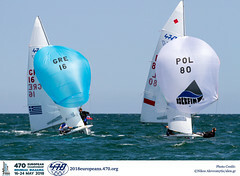 The who lost a second place in the penultimate Finals race to a black flag disqualification.